The Columbus office, home to the software development team for Blubrry Podcasting and MacKenzie our Services and Affiliates Coordinator, is in need of an administrative / office assistant. 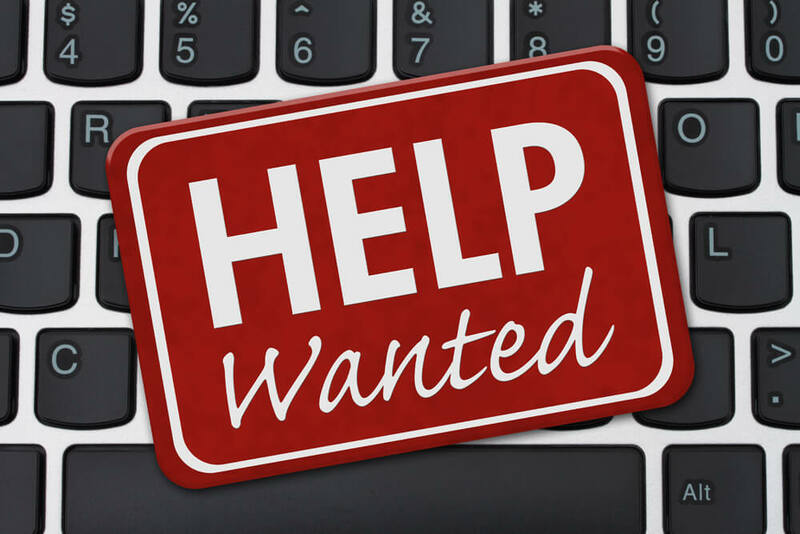 With a small team of developers, we need someone to assist with a variety of tasks associated with the department, such as writing documentation, testing new features, helping to manage projects, etc. The team needs someone who is comfortable moving from task to task and ensuring that the office runs smoothly. Given the industry that we’re in, a passion for technology is a desired characteristic. If you’re familiar with podcasting – from behind the mic or just a fan – even better. Positions at Blubrry are never set in stone so depending on your skills, education and interest this could evolve into a higher position. We’re looking for someone to join us in the physical Columbus, Ohio, office 40 hours a week, regular business hours, as soon as possible. This position includes lots of writing for the team and our community, so we’re looking for a skilled, confident writer. This means that a cover letter is very much appreciated. We’re looking forward to hearing from you! You can learn more about the position and apply on Monster here. If you have any questions, email jobs@rawvoice.com. CES, the Consumer Electronics Show, is up and running in Las Vegas, with Todd Cochrane in attendance. Mike and guest-host, MacKenzie discuss CES and Todd’s Tech Podcasts Network coverage happening all of this week. 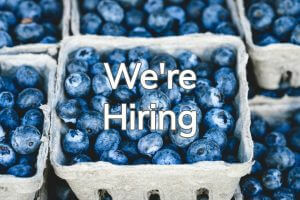 The Blubrry team is looking for multiple team members to join, and Midroll is also hiring. Become more familiar with MacKenzie, Services and Affiliates Coordinator on the Blubrry team. RIP Combat Jack, long-time and loved podcaster, he passed away from colon cancer. Todd, along with the Tech Podcasts team are in Las Vegas for the Consumer Electronics Show (CES). Check out their coverage starting tomorrow (Tuesday, Jan 8th, 2018) on TPN.tv and GeekNewsCentral.com. 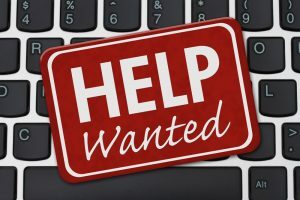 Looking for a job in podcasting? Midroll Media is seeking a Production Coordinator at Earworlf. Podfest in Orlando, FL Feb 8 – 10th. Make your plans to get to sunny Florida to see Mike and MacKenzie and the conference. Meet MacKenzie, Services & Affiliates Coordinator at Blubrry / RawVoice Inc.
Blubrry is hiring a full-time developer. Email jobs@rawvoice.com for more info or questions. Statistics – Blubrry had a hardware failure. It’s been resolved now. See this post for a full explanation. 3rd party media players and themes. There are lots of players available for WordPress to play podcasts, they are all fine but not all play well with PowerPress. We can help you with the stuff that PowerPress does, but we really can’t help much with the 3rd party players. If there is an issue with one of the players that we do not supply with PowerPress, you need to contact that player’s support team to troubleshoot it. If you have trouble with your RSS feed from PowerPress, we can help. Do not pre-load or autoplay your podcast in the player on a page. Lot’s of reasons to not integrate either of these on your website. The new IAB Podcast Measurement document was released, episode level images have been updated for the Blubrry player and lots of podcasting job postings. Todd and Mike recap on these topics and more, including Mike starting up PowerPress webinars again. Thanks for listening to the show and please subscribe at PowerPressPodcast.com. Episode level image for the Blubrry player – In the PowerPress update we made a slight change to the player. See the image for this episode at PowerPressPodcast.com. Looking to make podcasting part of your resume? Lots of podcasting job announcements went out recently. – Take a look at some of them here. We got together! 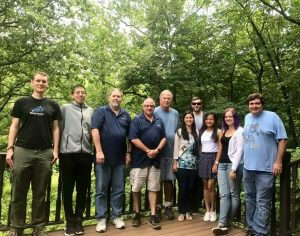 Blubrry team meeting – This was the largest gathering of RawVoice / Blubrry team members ever! Looking forward to more of these in the future as well. Blubrry webinars – Recently we’ve taken a bit of time off for these and are happy to share this next one with you. Tune in and register to attend the upcoming PowerPress webinar. Thursday, 7/27 4PM EDT – Sign up here! Importing and migrating from Soundcloud (or anywhere else). Canceling a subscription to hosting or statistics – Use the Billing section in the Podcaster Dashboard. 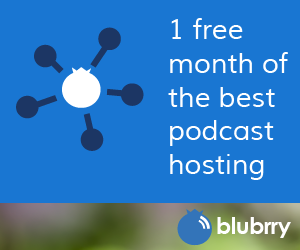 Once your show is listed in the Blubrry directory, do EVERYTHING from the Podcaster Dashboard. This will avoid multiple listings in the directory and your account. “Upload to iTunes.” No, YOU DON’T EVER UPLOAD DIRECTLY TO ITUNES/APPLE. Loads of podcasters are under the impression that you RSS feed PUSHES to Apple Podcasts (iTunes). It does not. Apple Podcasts (when it sees fit) PULLS your feed. It asks for your feed when it gets around to it and PULLS your feed to update your listing. Your subscribers (even in Apple) subscribe to your feed and after that never really touch Apple Podcasts (the service) again. They are just subscribed to your feed directly in the iTunes software or the iOS Podcasts app. Subscribe to your own podcast, that way you can tell if everything is working correctly when you release a new episode. It works the same as every other directory and/or app. RawVoice is seeking a highly motivated experienced PHP Developer that is willing to work for equity, and possible full time position in the future. Candidate does not have to give up current employment but must be willing to commit 20 hours per week working with two other developers at RawVoice in building out our online product offerings. Do you know your way around a Unix box like it is the back of your hand? Do you have programming / development skills, primarily in PHP. The team at RawVoice is looking to add people to our team that understand the new media space. We are not asking you to give up your day job yet, but we are looking for individuals that need no supervision and works well with other developers.The operations at RawVoice is one of a startup being bootstrapped by a very dedicated team, and we are looking to expand our team as our flagship product the RawVoice Generator a turnkey Instant Media Network is attracting customers globally. If you have the skills to join our team drop us a line at ceo@rawvoice.com and tell us a little about yourself and what you bring to the table.